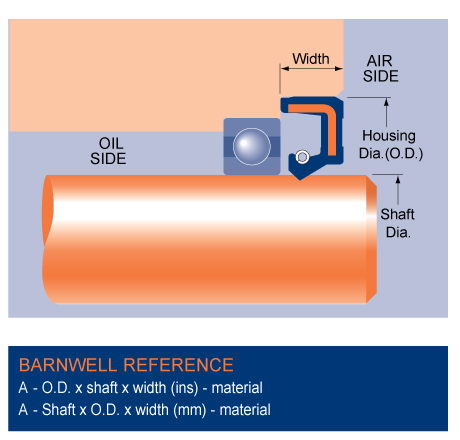 The Type A Oil seal is the most popular shaft seal design M Barnwell Services supplies. The rubber O.D. permits replacement without damage to the housing bore, yet still retains the seal without the need for circlips, sealants or a retaining plate. However, it is not suitable for high-pressure applications. See our High Pressure Seals for more information. Rubber O.D., metal insert, sprung single lip type shaft seal.